On the edge of the jungle just outside of Pucallpa, right in the middle of the Shipibo homeland, you can find Pachamama temple. 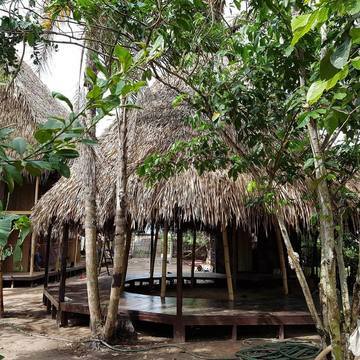 This relatively new ayahuasca centre was built especially around Mama Rosa, well known in the ayahuasca world as heart on legs, and her loved ones. Most of the Peruvian ayahuasca centres are located in and around Iquitos and mama Rosa, like many other shamans from Pucallpa, worked there for many years. This meant being apart from her family for months at a time just to make a living. With the founding of Pachamama Temple in Pucallpa this is no longer the case, and Mama Rosa now works with her family, also trained and skilled her sons, to create a space with a beautiful family atmosphere and very powerful healing ceremonies. 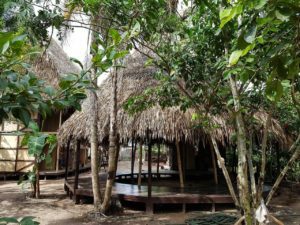 In addition to this loving family you will find a team of experienced English speaking facilitators working alongside them, there to guide you through your ayahuasca experience. Pachamama Temple is a place where you can feel at home and where a genuine loving energy and personal attention are a big part of the retreat experience. Pachamama Temple was founded for those who are seeking profound personal transformation and true healing of the mind, body and spirit. Do you feel lost or out of balance? Like there is something missing in your life? You feel you are cut off from a deeper connection to yourself and the people around you? Are you struggling to find meaning in it all? Are you carrying around old baggage that you are not able to let go of? Do you find it hard to love yourself ? You will be amazed how many people, especially in the western world, are struggling with these feelings and the inability to heal themselves from past trauma and loss. More and more of us are waking up. We no longer feel we can just keep going on like this, unfulfilled and unhappy. So we make a choice. No more. There is more inside me, and out there, and I am going to find it! Pachamama Temple is located just outside the city of Pucallpa. Why? 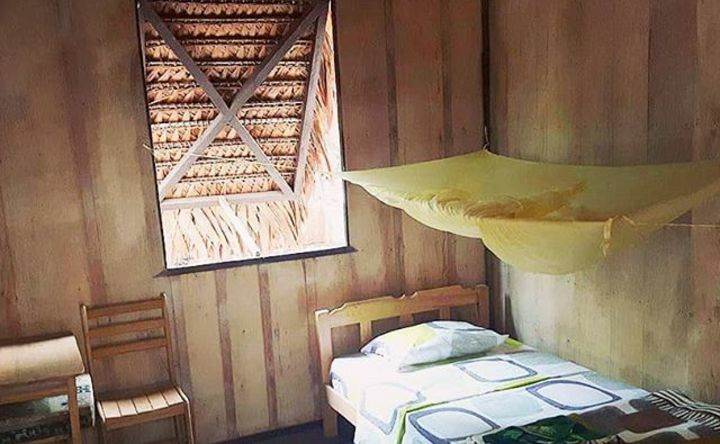 Because this is where our Shipibo healers live! Unlike many other retreat centers, we chose to come to the heart of the Shipibo community instead of taking the Shamans away from their family and friends for months at a time to work in locations deep in the jungle of Iquitos. We strongly feel that the happiness of the Ayahuasqueros is of the utmost importance and reflects on their healing work in a positive way. Visiting Pachamama Temple will give you the feeling of visiting the healers in their own home, where they are open, joyful and relaxed. Preparations for our Ayahuasca Retreats begin weeks in advance, starting with following a traditional Ayahuasca diet. This diet will prepare you for your journey by cleansing your body. This ensures that you will get the most out of your experience by minimizing things like digestive upset. Your commitment to this diet will also show the seriousness of your intention and your respect for the medicine, which are crucial in developing a strong relationship with the spirits of the plants. The menu at Pachamama Temple reflects these restrictions. All street drugs (cocaine, MDMA, amphetamine, etc). These drugs in combination with Peruvian Ayahuasca can present a serious danger to your mental and physical health. See our Medical guidelines. Salt and pepper. (We recommend a small intake of salt every 3 days). Chilies or other hot peppers. Oils and fats (use very sparingly). Carbonated beverages (including diet soda), energy drinks, non-alcoholic beer. Fermented foods (such as tofu, saurkraut pickles, etc). Overripe, bruised, and dried fruit. Protein extracts, powdered protein supplements and shakes. retreat guests arriving at the Jorge Chavez International Airport in Lima choose to connect their flights straight to Pucallpa, the home of the Pachamama Temple. We do recommend that you leave enough time in between your flights for any delays. You will also want enough time to get your luggage, get to domestic departures and check in again. We recommend that you leave 2.5 to 3 hours between the flights. Pucallpa is easily accessible from Lima, only a little over an hour by plane. There are three domestic airliners that make this commute from Lima to Pucallpa. These are LAN, Star Peru and Peruvian airlines. These flights vary from about US $180 round trip to $300 depending on the airline and how far out you book. When booking your international flight into Peru, its important to keep in mind the time of your connecting flight to Pucallpa. If you are planning to arrive on the day of the retreat, we recommend that you arrive in Lima no later than 5:30 am and make sure your departing flight from Lima to Pucallpa leaves before 8:30 am, as all our guests will be picked up at the Los Gavilanes Hotel in Pucallpa at 11:00 am. This ensures that you have enough time to get to the hotel before the pickup time. The way to get around in Pucallpa is by Motortaxi, which is a kind of tuck tuck. Getting from the airport to the hotel will cost about 8-12 Soles (US$3.00-5.00), depending on your negotiation skills, and will take about 10 minutes. If you wish to arrive a day in advance, we have an arrangement with the Los Gavilanes Hotel and can provide booking for you at a rate of 105 Soles (US$30-35) for a single room. The hotel will also provide free transport from the airport to all overnight guests. You can find reviews for Los Gavilanes Hotel on Facebook. Please contact us to initiate your booking. 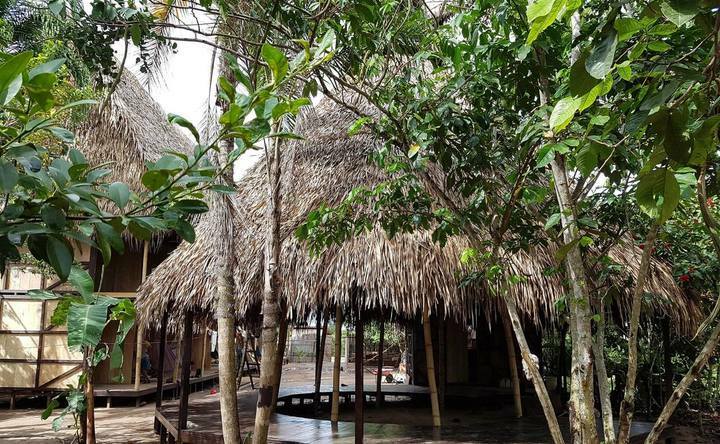 Pachamama Temple has made a bold step out of the jungle of Iquitos where most Peruvian Ayahuasca retreats take place, and into the native land of the Shipibo people where we strongly feel it belongs. Located in Pucullpa, Peru, our shamans work in their natural, family-like environment where our guests can be provided with the highest level of safety and service. Visiting Pachamama Temple will give you the feeling of visiting the healers in their own home, where they are open, joyful and relaxed. Pucallpa (which means “red earth” in the native tongue) is located in eastern Peru on the banks of the Ucayali River, which is a major tributary of the Amazon River. Pucullpa still remains quite isolated from the rest of the country by the Amazon Rain Forest and the Andes mountain range. The city is pretty much unspoiled by mass tourism. Here you can still walk the streets without persistent vendors trying to sell you something at every corner. We have found the local residents of Pucallpa to be very friendly and helpful people. We love the place. Most retreat guests arriving at the Jorge Chavez International Airport in Lima choose to connect their flights straight to Pucallpa, the home of the Pachamama Temple. We do recommend that you leave enough time in between your flights for any delays. You will also want enough time to get your luggage, get to domestic departures and check in again. We recommend that you leave 2.5 to 3 hours between the flights. 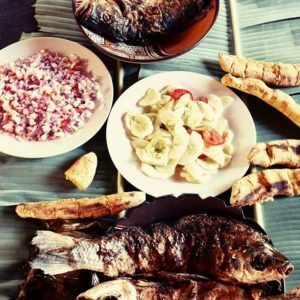 Pucallpa is easily accessible from Lima, only a little over an hour by plane. There are three domestic airliners that make this commute from Lima to Pucallpa. These are LAN, Star Peru and Peruvian airlines. These flights vary from about US $180 round trip to $300 depending on the airline and how far out you book. When booking your international flight into Peru, its important to keep in mind the time of your connecting flight to Pucallpa. 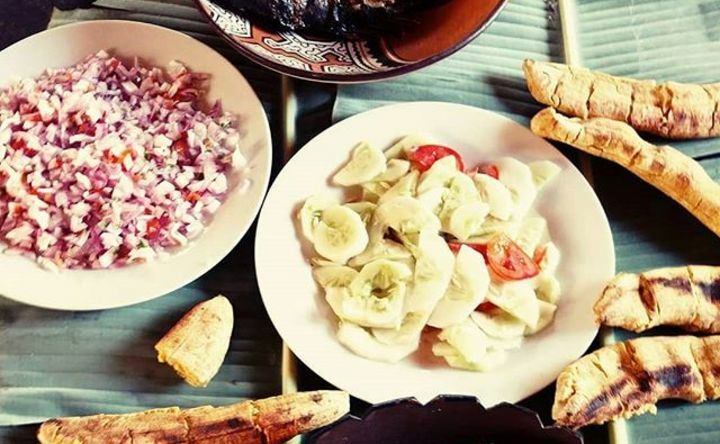 If you are planning to arrive on the day of the retreat, we recommend that you arrive in Lima no later than 5:30 am and make sure your departing flight from Lima to Pucullpa leaves before 8:30 am, as all our guests will be picked up at the Los Gavilanes Hotel in Pucallpa at 11:00 am. This ensures that you have enough time to get to the hotel before the pickup time. The way to get around in Pucallpa is by Motortaxi, which is a kind of tuck tuck. Getting from the airport to the hotel will cost about 8-12 Soles (US$3.00-5.00), depending on your negotiation skills, and will take about 10 minutes. The Pachamama Temple is a Retreat and Healing Center dedicated to sharing the medicine of Mother Ayahuasca, Mother Earth and the ancient wisdom of the Shipibo people. We provide Ayahuasca ceremonies in Peru for people seeking deep healing and personal transformation, and who want to participate in a powerful exchange with our community of healers and teachers.We offer 7 and 12 days Ayahuasca Retreats led by experienced Shipibo shamans who work together with carefully selected and skilled western facilitators. We provide a genuine, caring and safe environment for guests who want to work with the sacred medicine. The Temple also offers longer stays for those who are interested to learn more in-depth about the medicine, experience plant dietas and study Shipibo culture.Pachamama Temple’s beloved Shipibo name is Roa Niwe Nate, which translates to “the realm of the medicine wind”. This name foretells that the Ayahuasca vine and the Chacruna leaf, which together make the Sacred Medicine of the Shipibo Healers, will blow across the world, traveling far beyond the Amazonian rainforest. Ayahuasca’s healing potential is unknown to many, but ready to be discovered for those spiritual seekers that are willing to go on a journey and benefit from her wisdom. We at Pachamama Temple are in awe of her healing power and have dedicated ourselves to spreading her medicine for the benefit of all.ROOTED IN TRADITIONAL HEALING PRACTICESBefore the western interest in drinking Ayahuasca, only shamans drank the brew. At the request of our healers, we honor this ancient practice by starting our retreats with one ceremony where only our shamans drink. This traditional ceremony gives them a chance to read our guests energetically, with the help of the plants, and allows them to better tailor their healing work for each person throughout the retreat. We are proud to say we are the only center we know of that takes time to honor and practice this traditional way.CARING FOR FUTURE GENERATIONSHumanity is awaking and reaching deeper into the ancient cultures to learn the old paths of wisdom. One of the cornerstones of the Pachamama Temple is our Vision for a Shipibo school will preserve and carry on the traditional ways of the Shipibo, while also integrating with the demands of the modern world. 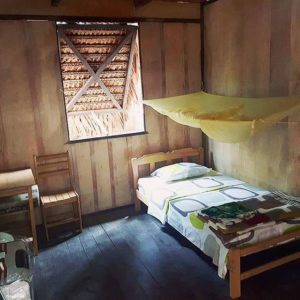 We strongly believe that education is a key step if we want to leave this world a better place for our children.WHY CHOOSE US?Many Ayahuasca Retreats in Peru are owned solely by westerners who often keep most of the profits for themselves. Pachamama Temple works closely with the local community and our healers have a big share in the organization and own part of the land that the Temple is built on. We don’t just employ these remarkable people. Instead we have decided to work with them on a basis of equality. 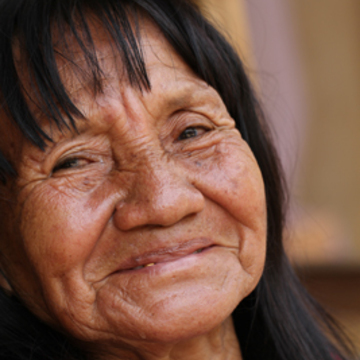 Pachamama Temple is built in the Shipibo homeland which means our shamans don’t have to leave their families and loved ones for months at a time just to make a living in the jungle of Iquitos.You are safe and well looked after. English speaking facilitators are available 24 hours per day. Help is always available if you need it. Our program also allows for a lot of personal time with our healers and they are happy to answer all of your questions.We work with very experienced shamans. They work as a family and create a great energy which can be felt during ceremony. We also have a high ratio of healers to guests.Pachamama Temple’s Ayahuasca is pure made from only the Ayahuasca vine and Chacruna plant. There are no other additives except for a tiny amount of Mapacho (jungle tobacco). All of the Ayahuasca we work with is cooked here at the Temple and guests get the chance to help with the brewing process. Very Authentic, very well organized, very reasonably priced. Maestro Luis Marquez Pinedo is Mama Rosa’s middle son. 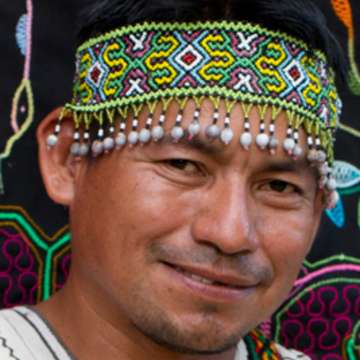 Luis designs our education programs and teaches language, culture and history in the Pachamama Shipibo School to the children from the local community and our guests. 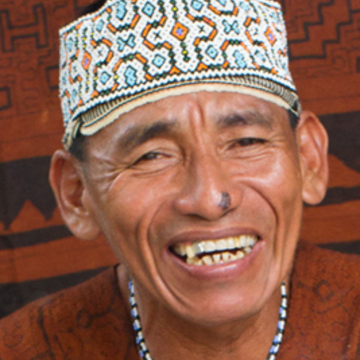 His Shipibo name is Soi Sani which means: wonderful, sociable and friendly man. This name suits him well as he is all of the above. From early childhood Luis knew he wanted to be a teacher and after he finished high school he received a grant to study in the Bilingual Teachers of the Amazon Training Program. 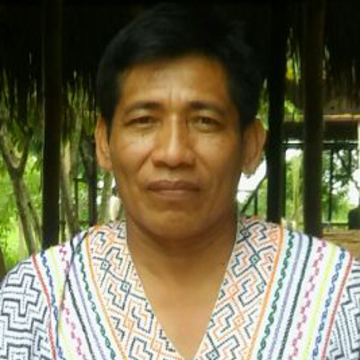 Luis has served as Principal in Santa Elisa, Pedagogic Director of the public Bilingual Institute in Yarinacocha, and a Teacher Training Specialist at the University of the Peruvian Amazon. In 1999 Maestro Luis travelled to Germany to support the transcription of the Shipibo language to Spanish by the Peruvian linguist Pilar Valenzuela. The book was published under the name Koshi Shinanya Aibo for those who are interested. To conclude his impressive 23 years of experience in education, the last few years Luis has been working as an advisor and monitor at the University Peruana Cayetano Heredia. Like all the other members in his family, he was brought up around Shamanism and Ayahuasca. 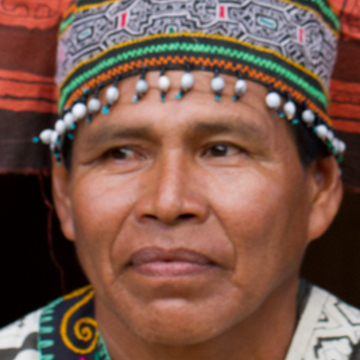 He has extensive knowledge of medicinal plants and sings many Icaros in ceremony. Maestro Genaro Marquez Pinedo is the youngest son of Maestra Rosa. Genaro’s Shipibo name is Ronin Mano which means: Invisible Man with the strength and power of the anaconda. Like his older brother Luis, Genaro was teaching children as a school master before he started working at Pachamama Temple in 2016. After finishing his primary education, Genaro decided he wanted to play a part in preserving the traditional Shipibo culture and pursued two teaching degrees from the National College of Yarinacocha and the Bilingual Pedagogical Institute. Genaro has also always had an interest in plant medicine and has been connecting with the plant spirits through dieta’s for more than 12 years now. Genaro started his dieta’s after had an accident with his motorbike that left his right leg in shambles. Dokters in the hospital wanted to amputate his leg but Mama Rosa was not having it. After siging a release form which stated that she would go to jail if Genaro would die the family took him home and started treating his leg with medicinal plants. Six months later Genaro was taking his first steps and after nine months the doktors were amazed as he walked into the hospital to show his progress. This strong experience with the plant medicine inspired Genaro to take the next step towards becoming a maestro himself. He was being guided by Mama Rosa and his brother Feliciano during his apprenticeship. Since he started working at Pachamama Temple Genaro has reached the master level without a doubt. His powerfull voice and strong presence in ceremony is a wonderfull experience for all that are present. Maestro Gilberto Picota Lopez is Maestra Rosa’s son in-law, married to her only daughter Adelina. Maestro Gilberto’s Shipibo name is Sina Nima, which means: A serious and positive man. Gilberto’s father was a healer since the age of twelve and practiced Shamanism for over 66 years, healing many people of many different diseases. When Gilberto was a boy his father transferred the power to be a plant healer to him during a Ayahuasca ceremony. When Maestra Rosa met Gilberto and he came into their family, she saw in him a great talent, and decided to help him to discover and develop his shamanic gift. Since 2014 Gilberto has also been learning from Maestro Feliciano and his apprenticeship has just recently come to an end. Gilberto is fifty years old now and ready to share his gift for healing with the rest of the world. Maestro Gilberto is a very humble man, some might even call him shy. But once you get to know him, and you will, you can see his heart is filled with a gentle love, which can be felt in his presence and heard in his beautiful Icaros. Maestro Feliciano Marquez Pinedo is the eldest Son of Mama Rosa. Feliciano’s Shipibo name is Kanan Betsa which means: A man with a good profile and talented in business. After finishing primary school he went to work as a laborer in the Wood industy on the Tamaya River, along with his godfather Lucio Cabrera, who was a Mestizo healer. Lucio had a great influence on Feliciano and when he was 22 he started dieting plants under the guidance of his godfather. When Feliciano was 39 Years old he got very sick and sought out the help of local plant healer named Wakapoko, who treated him and passed his knowledge of medicinal plants to Feliciano. After this he began a 9 year apprenticeship with shaman Daniel Ramos. On his shamanistic voyage, Feliciano found a deep connection to Jesus Christ, the Bible and the Christian saints and angels. He often gives a blessing after singing his Icaros, showing that the Christian religion and the ancient traditions of Amazonian shamanism do not have to be mutually exclusive. Prior to working at the Pachamama Temple, Feliciano worked in multiple centers in the city of Tarapoto and other parts of Peru. Feliciano is always cheerfull and has a excellent sense of humor.